CRM started off as a way for salespeople to build better relationships with their customers but has ended up as “just another tool for reporting to management” according to the 2015 CRM survey from sales and marketing consultancy ZS. And not a very accurate reporting tool at that. ZS surveyed 115 respondents, mainly from sales operations and management, whose companies used a variety of CRMs from Salesforce to SAP. 42% of respondents thought that their CRM provided “high to extremely high” value in opportunity management, 39% in sales information look-up and 35% for sales forecasting. But when it came to actually helping sales staff sell, CRMs are failing dismally. 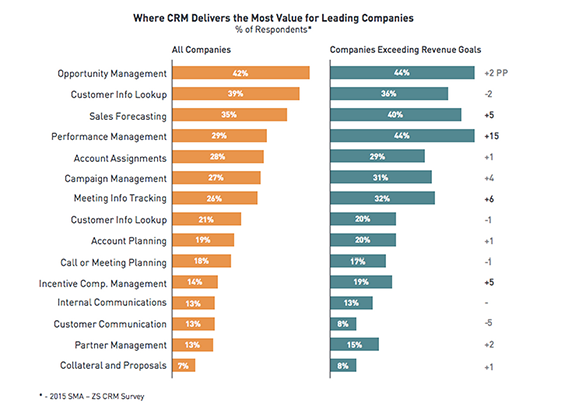 Only 13% thought their CRM gave “high to extremely high” value in customer communication or internal coordination. That figure was 18% for call and meeting planning and 19% for account planning. 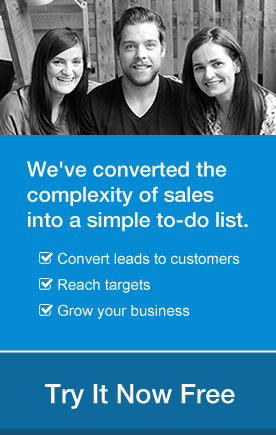 At OnePageCRM, we want sales staff to fall back in love with their CRM. We scan CRM and sales tool data to suggest to salespeople what they should do next in order to close more deals. When you are juggling dozens or even hundreds of accounts, it’s impossible to remember the details of everyone one. Who didn’t reply to my email? What agreements haven’t been signed? Who is about to churn? OnePageCRM keeps track of all that for you and prompts you when you need to take action. The other big problem reported in ZS’s survey was data accuracy. Only 24% of respondents rated the accuracy of data about leads opportunities, information which could lead to future sales, as “high” or “very high”. 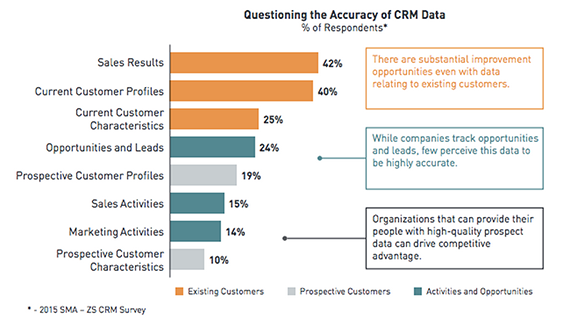 74% of respondents said that improving the quality of CRM data and using CRM to support sales and marketing processes was a priority. OnePageCRM helps with both by reminding sales staff when they need to update data and speeding the process up so they can spend more time selling. Sales and CRM. OnePageCRM brings them back together. How can peer influence accelerate your sales strategy?